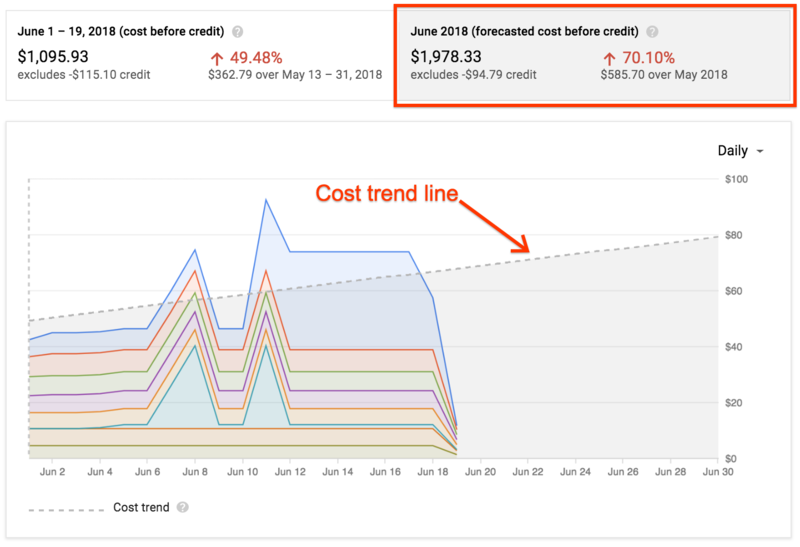 Today, we are excited to announce the availability of a new cost forecast feature for Google Cloud Billing. This feature makes it easier to see at a glance how your costs are trending and how much you are projected to spend. You can now forecast your end-of-month costs for whatever bucket of spend is important to you, from your entire billing account down to a single SKU in a single project. Cost forecast for Google Cloud Billing is now available to all accounts. Get started by navigating to your account’s billing page in the GCP console and opening the reports tab in the left-hand navigation bar. You can learn more about the cost forecast feature in the billing reports documentation. Also, if you’re attending Google Cloud Next ‘18, check out our session on Monitoring and Forecasting Your GCP Costs.